Tecnal is the specialist and world leader in press filters applied to the production of goat cheeses and fresh cheeses. 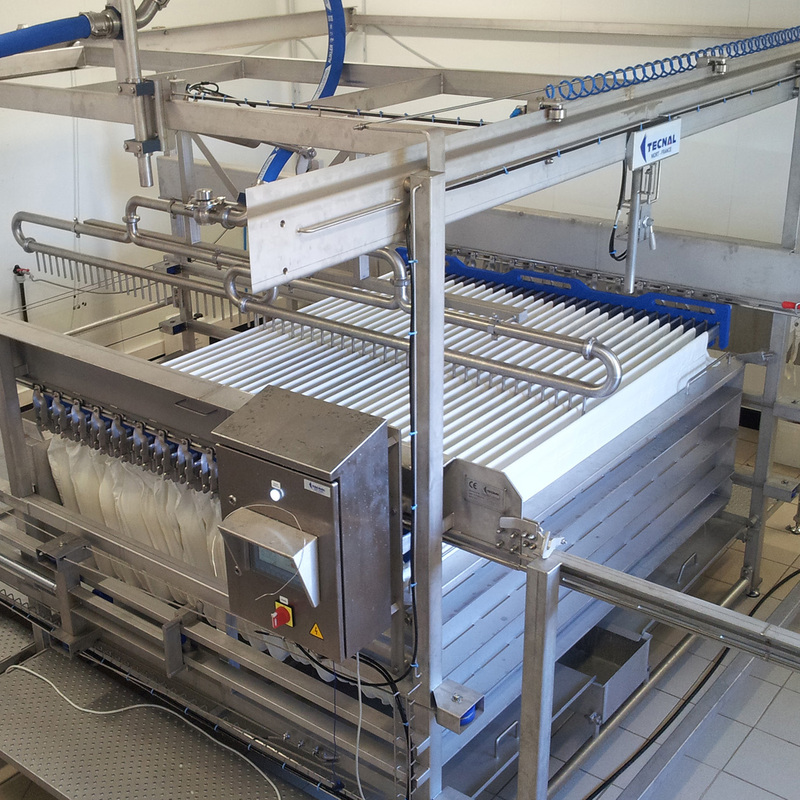 This equipment is intended for mechanical draining of lactic curd cheeses or fresh cheeses, yoghurts, Twarog, and Labneh. Dry extract after draining ranges from 17% to 45% depending on the objectives sought. Tecnal proposes a full line of press filters to cover all your production needs. A full line of press filters from 320 to 10,000 litres. Press filters separate curd and whey in a set of filter bags placed between two plates, one fixed, and the other mobile. It is through pressing, programmable between 30 minutes and 9 hours and between 0.5 bars and 6 bars, that the desired extracts are produced. Tecnal line of press filters is evolving: several filters can be assembled in series, with automatic filling of the bags for example. Press filters can be supplied with a set of accessories: bag holder trolley, bar holder trolley, whey recovery tank, bags transfer between filters.